The smell of garlic burning brought her out of her daydream. She swore and clicked off the flame. 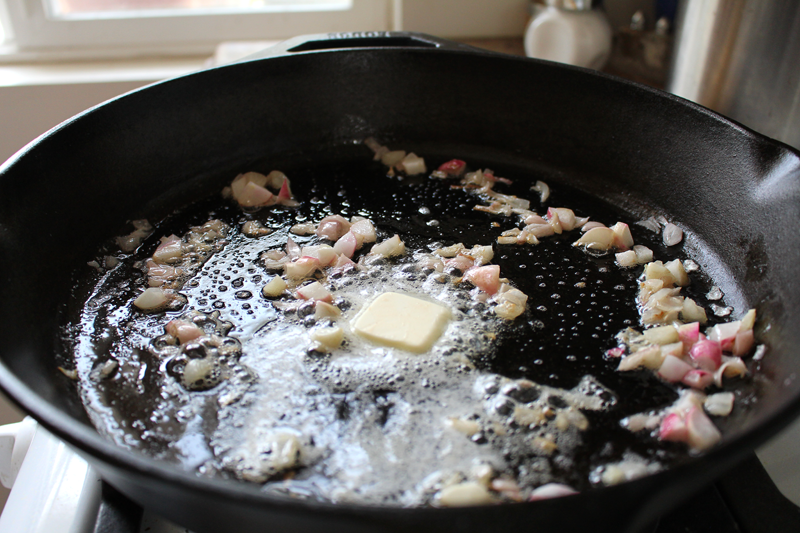 She dumped the scorched garlic into the compost, wiped out the cast iron skillet and set it back on the stove. She minced a few more cloves, setting aside their papery skins to use in veggie stock. The carrots were in the oven already. They’d soon be browned at the edges and sweetened by honey, with a touch of salt, pepper, and a sprinkle of cayenne. The bread had come out just before the carrots had gone in. When she leaned in close she could hear it crackling as it cooled. She inhaled and closed her eyes. Freshly baked bread took her back to childhood. Mom pulling out the fresh loaves of her signature bread, read to be slathered with butter (or margarine, it was the 90’s). It took her to early memories, hazy enough that they could have been a dream. Oma’s hands showing how to shape the Zwiebach buns, her little hands trying to mimic the motion. Praise from Oma, her gentle voice encouraging her young granddaughter as she learned a generations old recipe. Her eyes flitted over to the framed recipe on the wall. Written by Oma’s hand. She would make them again soon aided only by memories this time.